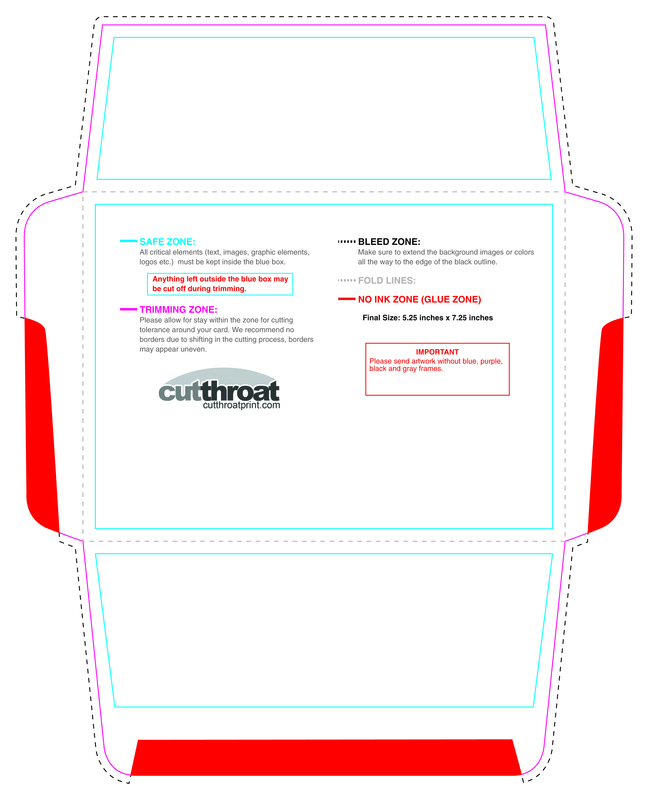 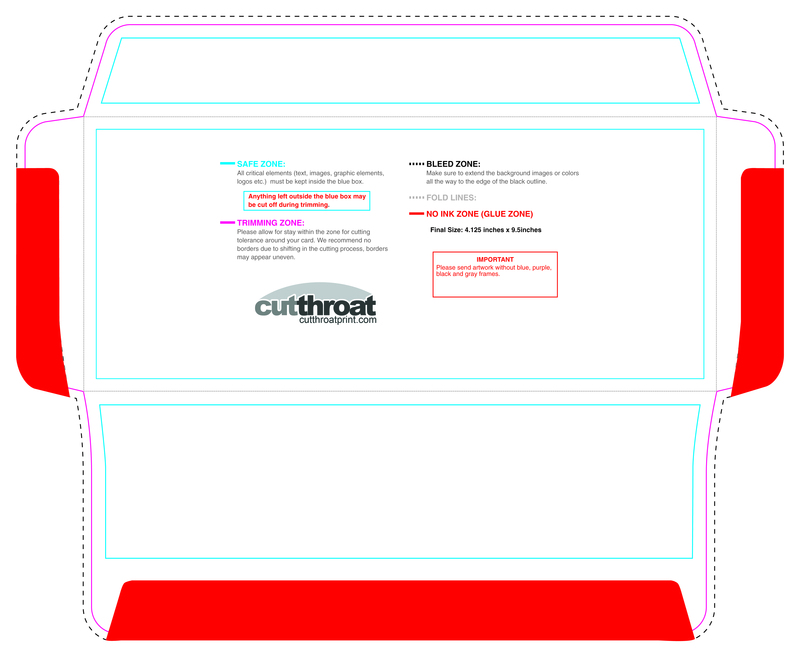 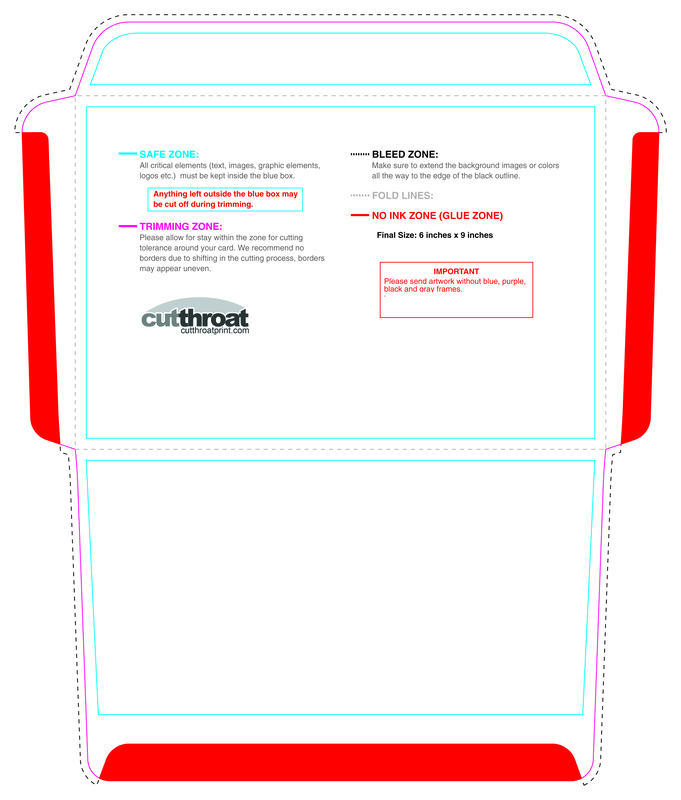 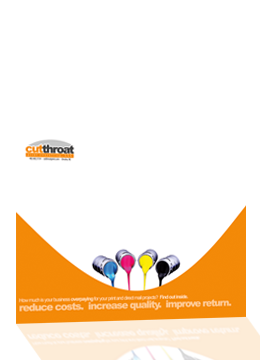 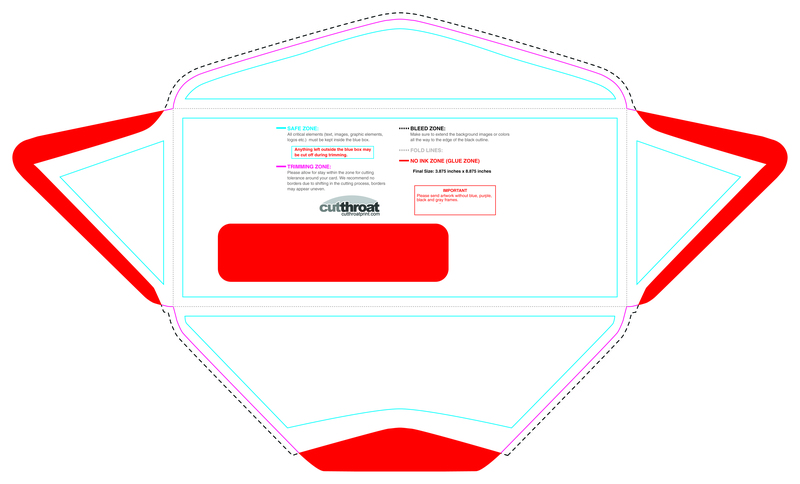 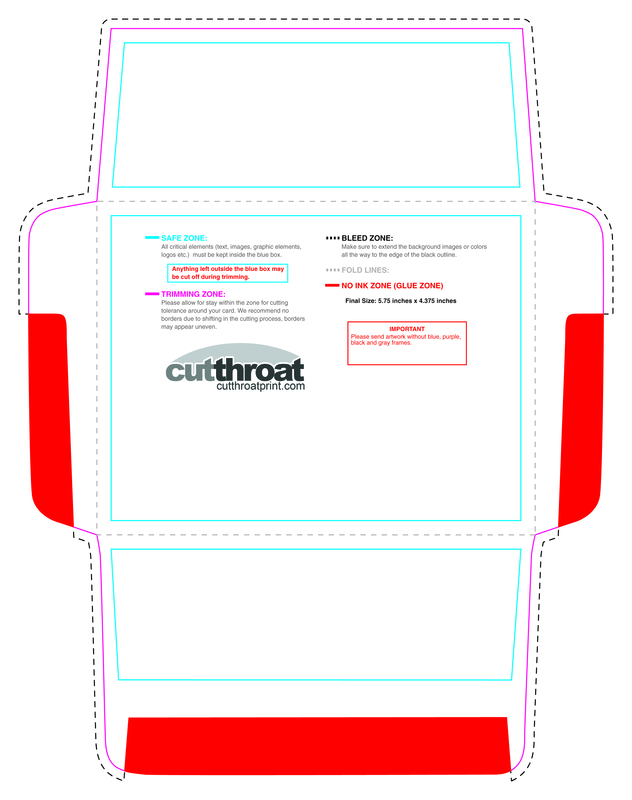 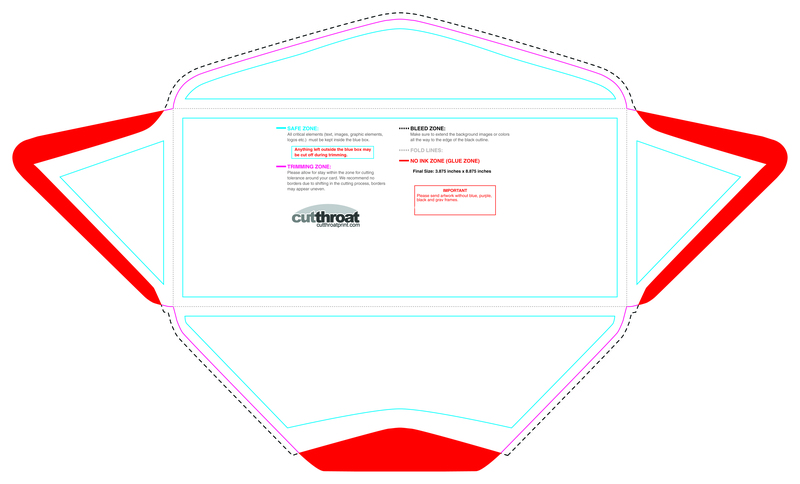 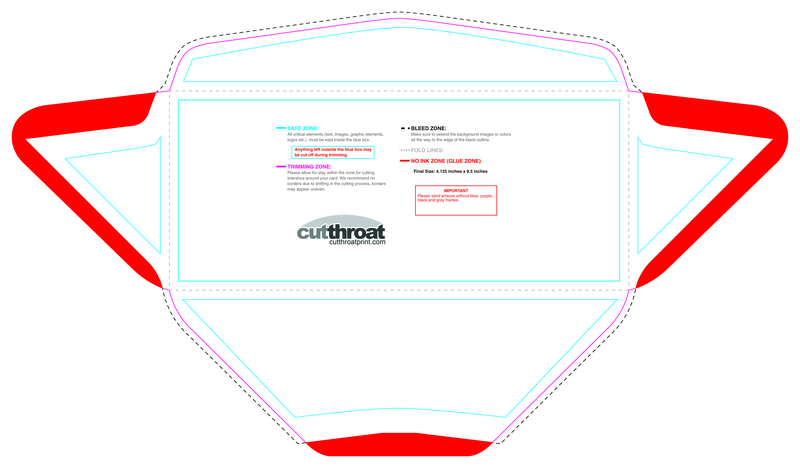 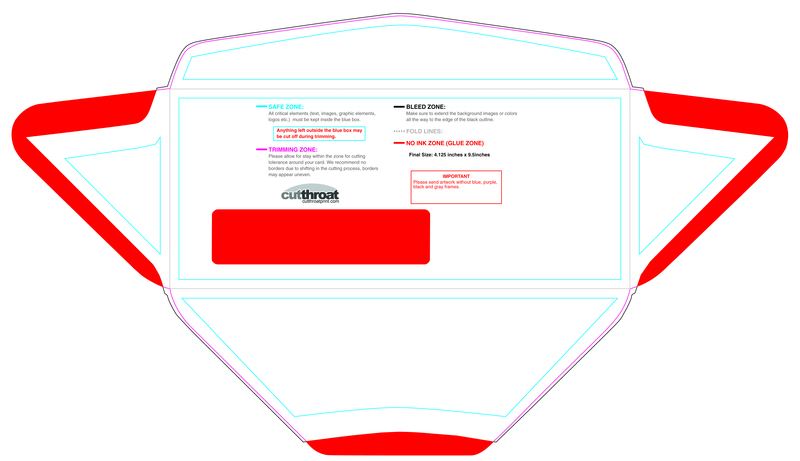 Cutthroat PrintCustom printed Envelopes with FREE SHIPPING! 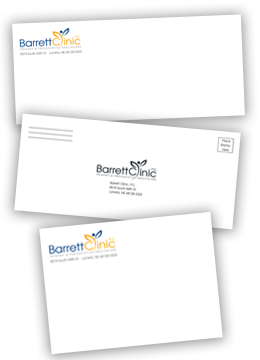 Our envelopes are printed on a flat piece of paper, die cut and custom assembled, allowing you to get very creative with your envelope design and create colorful back flaps and eye-catching 4-color full bleeds. 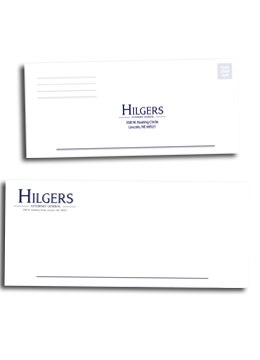 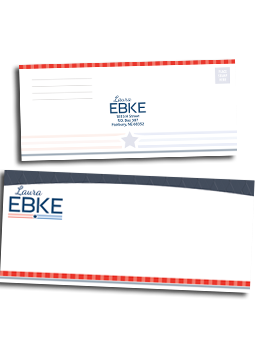 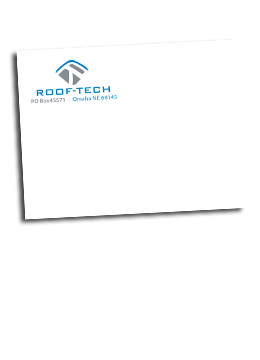 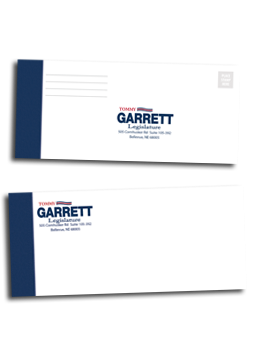 All of our envelopes are printed on 70lb Offset Opaque Smooth White paper and work great with both Laser and InkJet printers. 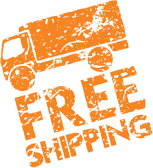 We'd be happy to send you free sample. 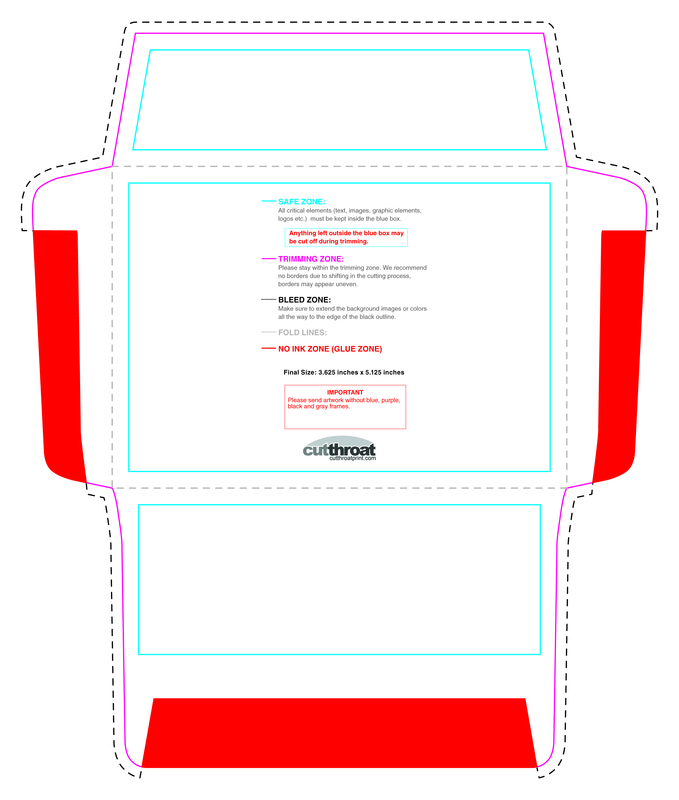 Submitting Your Own Print-Ready Artwork? 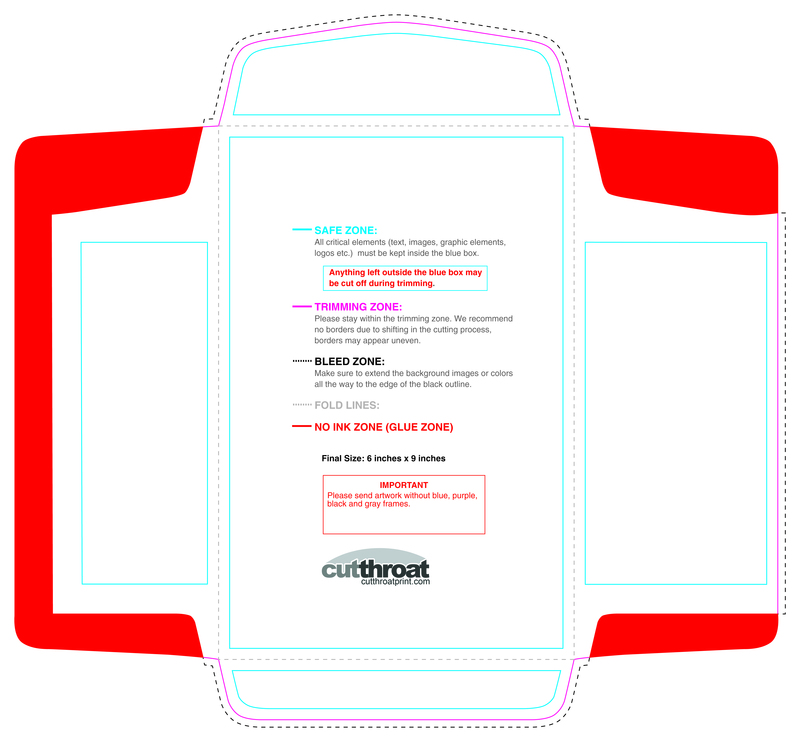 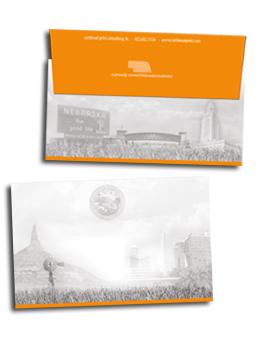 Avoid paying layout design costs by downloading one of our templates to the right before designing your print-ready artwork. x For a quote in a quantity or size other than displayed, please request a quote. 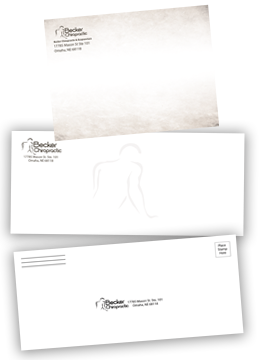 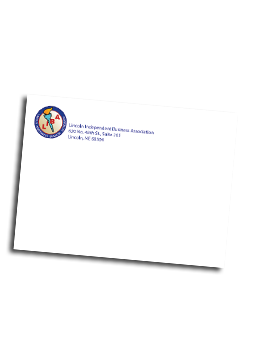 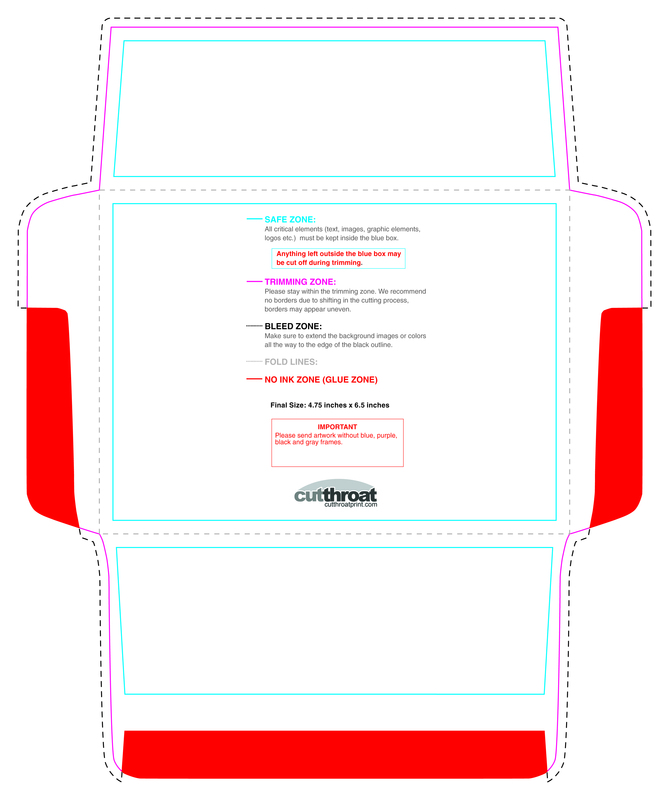 Design specs for envelopes: CMYK images, 350dpi, use below templates to build your design file. 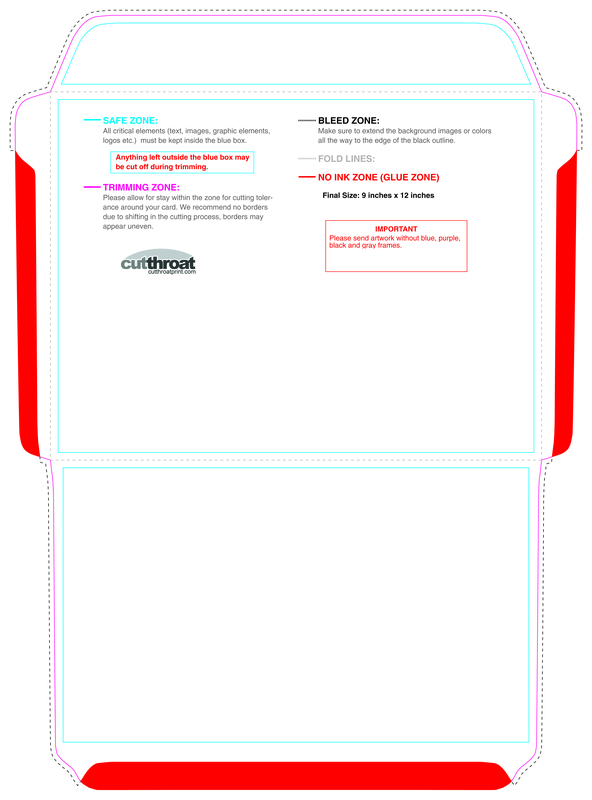 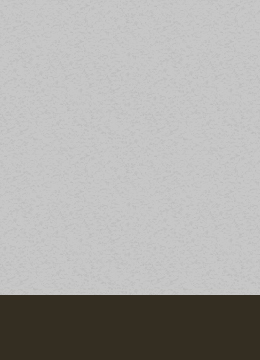 Download .JPG format templates. 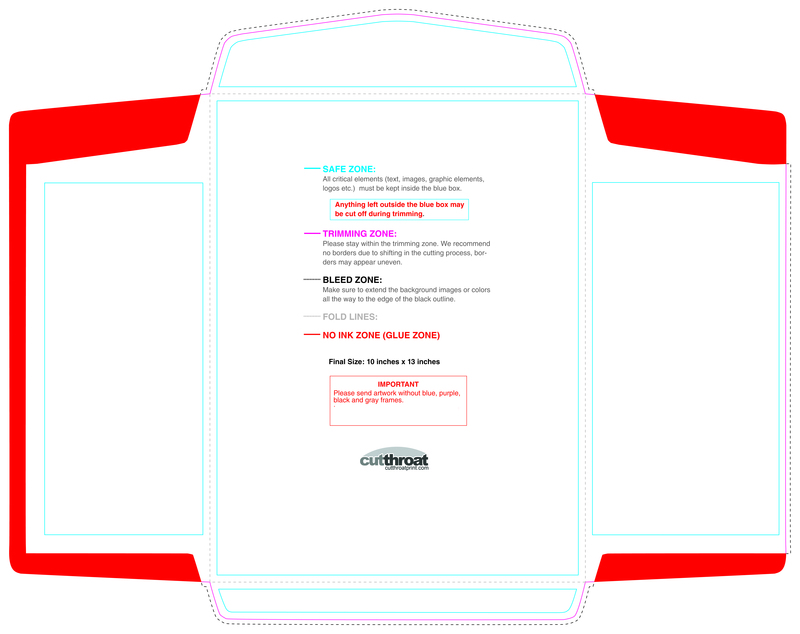 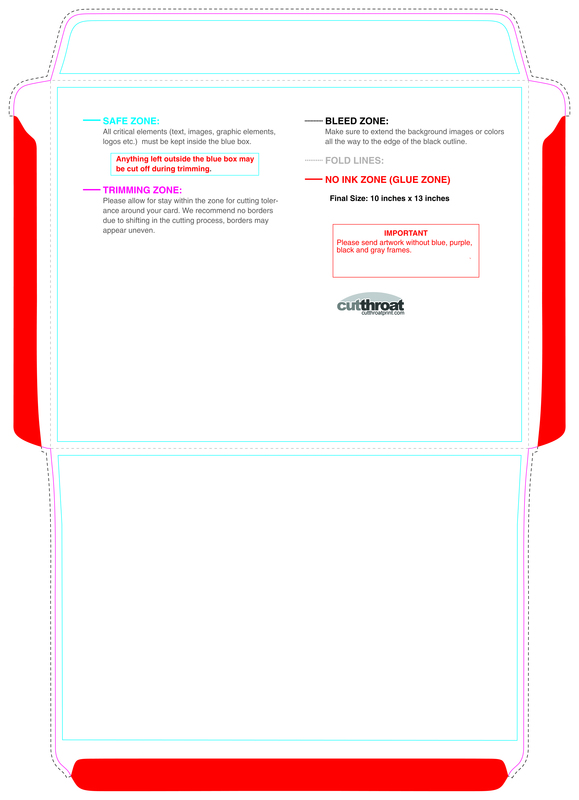 Use this pre-designed template to determine bleeds, trims and edges. 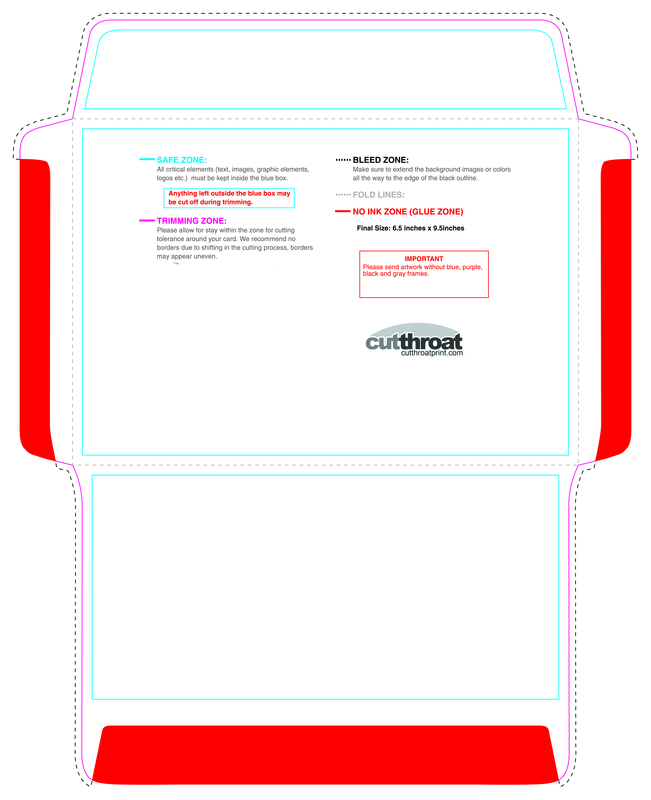 Files sent to us that are not correctly formatted are subject to layout format work for $75 p/hour.